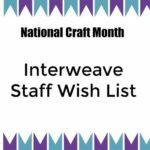 Which Interweave Crochet Spring 2019 pattern is your favorite? For me, the Vilnis Top by Linda Skuja is vying for a spot in the top five. It’s the beautiful movement of the stitch pattern that makes up the front of this crochet top. That movement comes from the crocheted wave pattern the designer used. Let’s take a closer look at the crochet wave pattern technique. Crochet Wave patterns give this crochet top a memorable design. Crochet wave stitch patterns are created by combining crochet stitches of different heights. Go ahead and grab a hook and some yarn and work a single crochet, double crochet, half double crochet. They are all different heights. When you combine stitches of different heights into the same row, the top edge of your crochet will undulate up and down in a wave pattern. Row 1: Sc in 2nd ch from hook, sc in next ch, *hdc in next ch, dc in next ch, tr in each of next 2 ch, dc in next ch, hdc in next ch, sc in next 2 ch; rep from * across, turn. Row 2: Ch 1 (does not count as st here and throughout), sc in each st across, turn. Row 3: Ch 4 (counts as tr here and throughout), tr in next sc, *dc in next hdc, hdc in next dc, sc in each of next 2 tr; repeat to last 4 sts, hdc in next dc, dc in next hdc, tr in last 2 sc, turn. 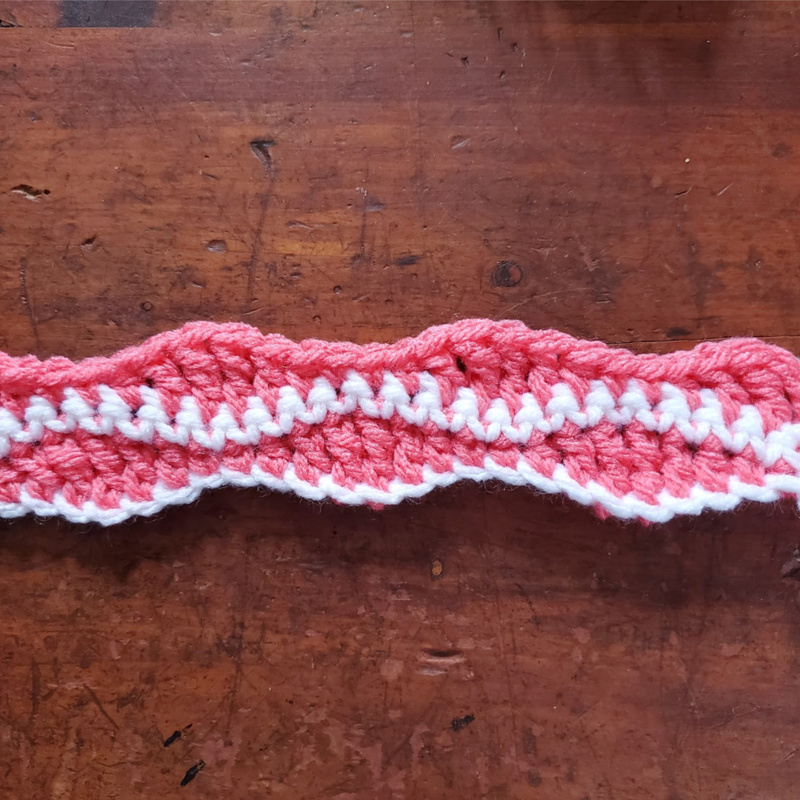 A simple example of a crochet wave stitch pattern. Notice the wave pattern created by the different stitch heights, accentuated by the different colors. When working wave stitch patterns, you want to match which stitch heights are worked into which stitches in order to keep the fabric height relatively even. Notice that the tallest stitch, the treble crochet, is worked into the shortest stitch, the single crochet. You can see the stitch heights in the hand-drawn stitch diagram I created. If you want to know more about reading stitch diagrams, check out Reading Stitch Diagrams. A hand drawn stitch diagram of a simple crochet wave stitch pattern. The crochet wave stitch pattern used for both the Vilnis Top by Linda Skuja and the Breakwater Wrap by Silke Terhorst is very similar to the the stitch pattern I used for my swatch and just as easy. The designers both used a chain between each stitch to create a lacier pattern. 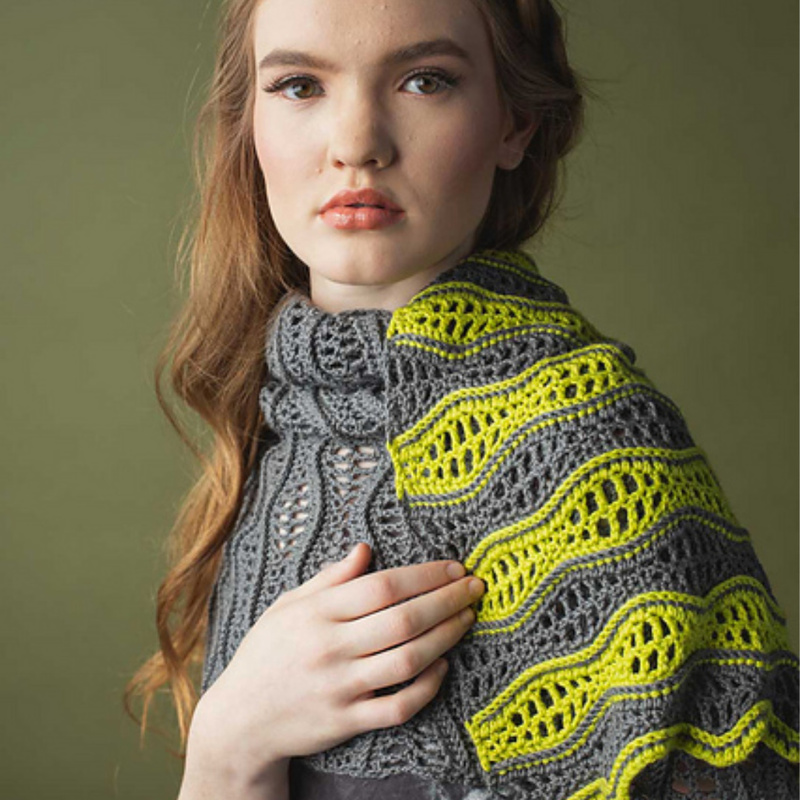 The crochet wave pattern in the Breakwater Wrap by Silke Terhorst is beautifully highlighted by the bright yarn choice. Crochet wave stitch patterns give the finished fabric a texture and movement created entirely by the stitches. The best part is that crochet wave stitch patterns are easy to crochet. They are simply a combination of stitches of different heights. 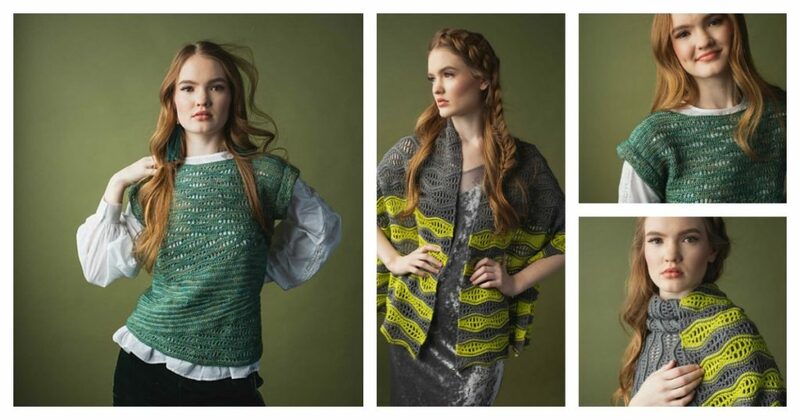 So which pattern will you try first, the Vilnis Top or the Breakwater Wrap? 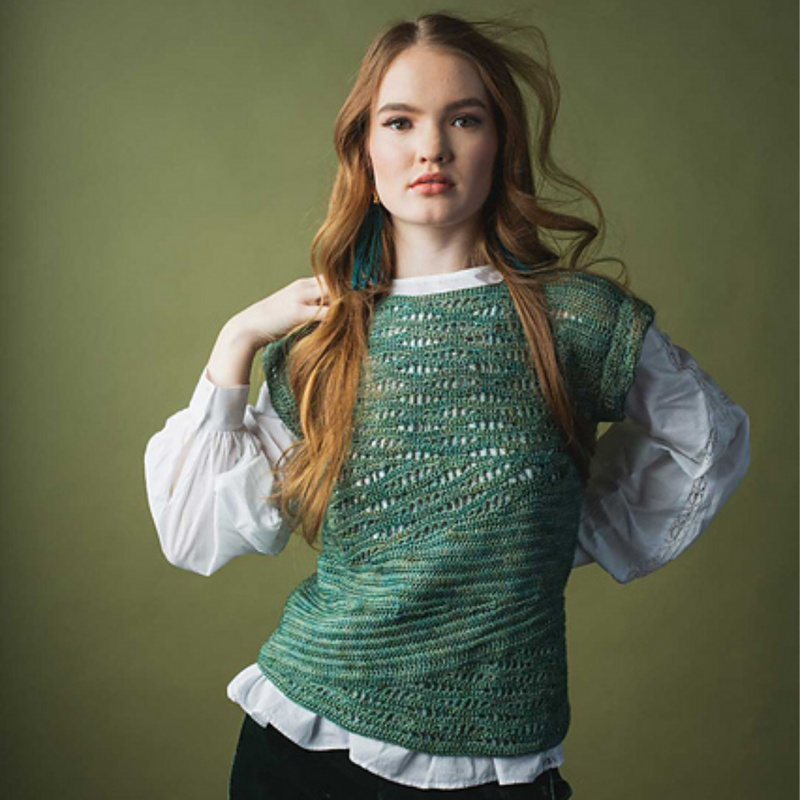 Order or download your copy of Interweave Crochet Spring 2019 today and give wave stitch patterns a try.